Thanks to Taylor Swift for our catchy blog title that we want to share with you on our 22nd birthday – celebrating Java, celebrating custom software development, mobile app development, team work, collaboration and lifetime learning. Quack, quack, two little ducks! If you’ve never played the game, that’s the way the number 22 is described in Bingo, and we encourage you to give it a go, it’s good fun. So, young or old, you can relate to us being excited about being 22. At Symbiotics we have a healthy mix of young and old. The younger staff members bring a fresh approach to our innovation hub and the ‘more mature’ team members leverage off their experience to help us move forward with insight. We’ve come a long way in our 22 years and we are truly excited about what is still to come. The values that we started out with have become entrenched in the business and are a driving force behind our recruitment process, our daily deliverables and our ongoing success. 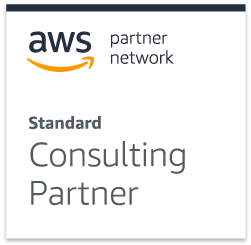 Through our Lifetime Learning, we earned a wonderful gift for our 21st birthday when we were appointed one of the first AWS consulting partners in South Africa. This came after years of implementing our own systems in the cloud and investing in our developers who are now AWS certified. We’ve had tremendous success with a recent lift and shift project that resulted in such benefits for our customer. Keep an eye out for the case study that will be published here soon. We’ve known from the beginning how important our customers are to us and we have benefited tremendously from the long-term relationships we have with our clients. We believe that these long-term relationships are only sustainable if you, the supplier, are committed to going Above and Beyond. We’ve continued to strive to make a difference in the lives of everyone we interact with be they team members, suppliers, customers or simply people in need. It has been our priviledge, and indeed we have benefited tremendously from the opportunities, to help other organisations such as Girls and Boys Town, Save A Child and the ARK initiative as well as numerous wildlife charity organisations. In our 22 years we have ingrained into the team the Spiderman Principle, that with great flexibility comes great responsibility. Each and every team member is empowered to take responsibility making them efficient in the tasks for which they are responsible. This extends to great customer service. And by showing Integrity, respect and caring in everything we do and in each and every interaction, we have built an incredible community. We know that our values have helped drive us to where we are today, so we know that they will continue to drive us to our next success. We have our targets set on that success and we are looking forward to helping our team, our customers and our beneficiaries reach their goals too. 22 is an interesting age…part of you feels like you have arrived, you’ve got a lifetime of knowledge under your belt and you’re set for the future. The other part knows this is just the beginning, there is so much more to learn and nothing is certain. We’re no different and we’re excited to see what the next 22 years hold for us. To team members past and present, customers, suppliers and beneficiaries we thank you for being a part of our journey and for making it a journey to be proud of. 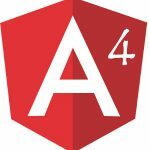 Integrating Keycloak with an Angular 4 Web Application Blog series How can delivery management help you create great software?